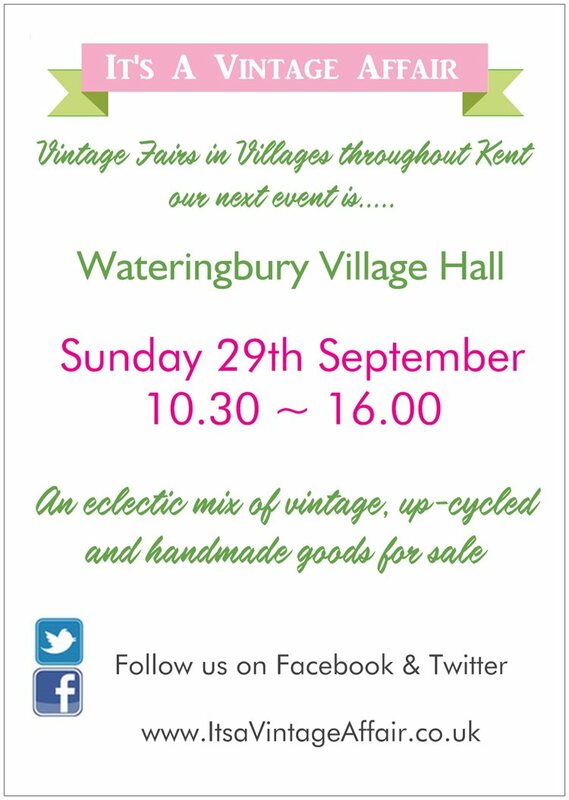 I am so pleased that I am going to be involved with this wonderful event on the 29th September. A group of vintage and craft lovers are coming together for a Vintage Fair. We are moving away for the ‘tressle table’, approach and are looking to provide an all encompassing vintage inspired event with up-cycled furniture staged with; handmade, vintage and vintage inspired goods creating a spectacular atmosphere. There are also plans to extend our visitors experience by having various related craft demonstrations being run throughout the day. Tea and delicious cake served on beautiful vintage china will also be available. All items for sale will have to be in a Vintage style.